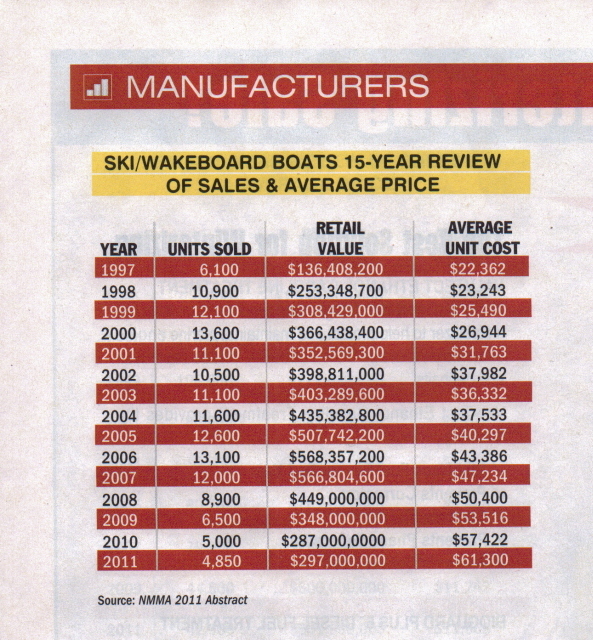 According to Boating Industry Magazine in their August 2012 issue the Average Unit Cost of Ski/Wakeboard Boats has gone from $22,362 in 1997 to $61,300 in 2011. 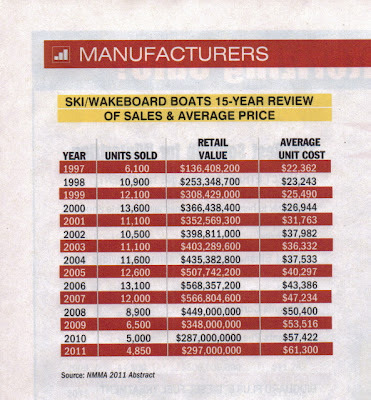 At Dyna-Ski Boats we are holding the average down with our recreational ski boats. The two motored boats we build for ski teams are even below the average cost. Some of the three motored boats might be above the average depending upon the size and cost of the engines.